Enjoy a cup of coffee on your private concrete dock as well! 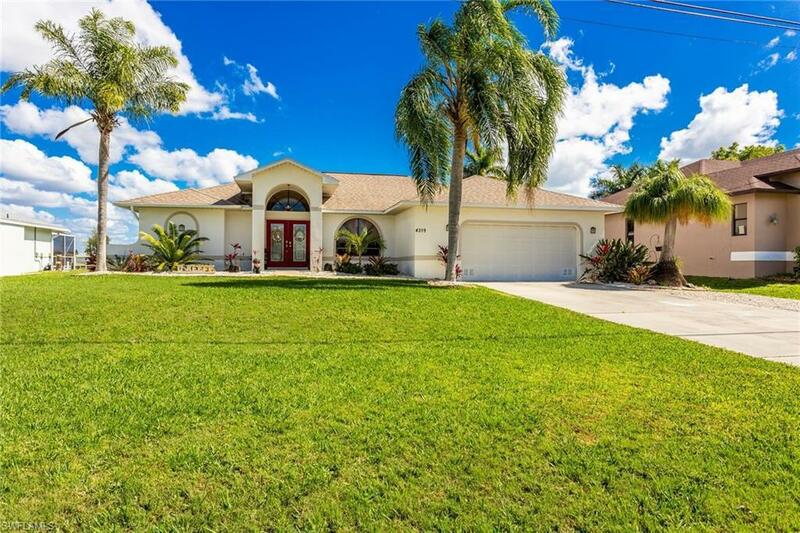 You'll love this gorgeous 1,956 sqft home, located on the water in Cape Coral! 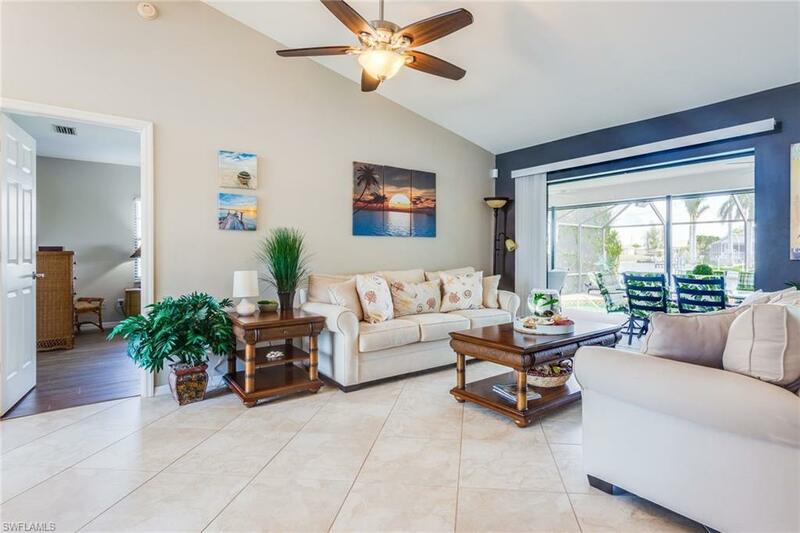 Just minutes from shopping and dining, this spacious 3 BR, 2 bath home has something everyone can admire. Key upgrades include the new electrical panel '16, newer A/C unit '14, newer pool heater/pump '15, along w/ the home being completely replumbed in '16. 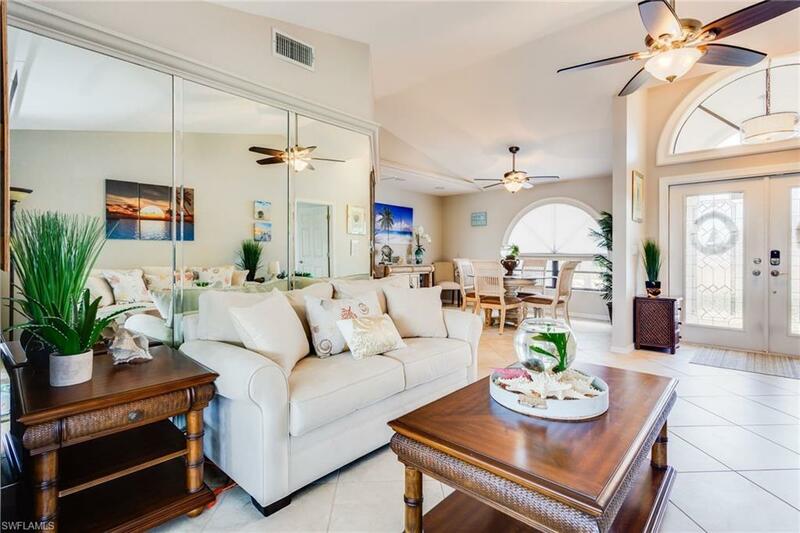 Other features include tile throughout all main living areas, and soaring vaulted ceilings. This home boasts 2 living areas, including one that gives you French door entry and direct pool access through stunning sliders. The updated kitchen holds plenty of storage, as well as a breakfast bar, granite counters, SS appliances and a breathtaking view of the water. Along w/ the guest room, the master bedroom offers direct pool access, along w/ updated wood like flooring and a private, upgraded ensuite complete w/ a large walk in shower. 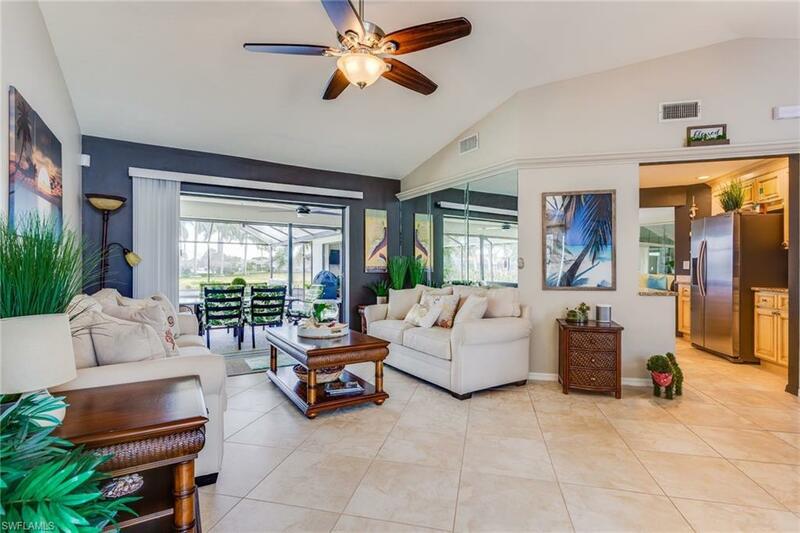 The huge screened in pool deck provides ample space for entertaining w/ its unique double level lanai, and offers an oversized electric pool heater, shaded patio and peaceful canal views. Be sure to schedule your showing today!